Online logistics and warehousing startup Zebroads has raised $75,000 (around Rs 50 lakh) in seed funding from a group of unnamed investors. The Hyderabad-based startup will utilise the capital raised to increase its warehousing capacity and to add more logistics partners to its network, Chandra Shekhar, founder, Zebroads told Techcircle.in. Founded in 2012, the company offers logistics and warehousing facilities to SMEs that cannot afford the services of large logistic providers. It currently offers customised warehousing, logistics and distribution channel services to SMEs. In addition to mini and mid-sized trucks, the startup also provides trained workforce (helpers and packers) for logistic requirements. Users can book the services through its call centre or on the website. Upon request, the company will connect the nearest driver available and the customers will be notified about it through SMS or on WhatsApp. The development was first reported by Inc42. A bunch of tech startups have come up recently in the logistics space offering various services. 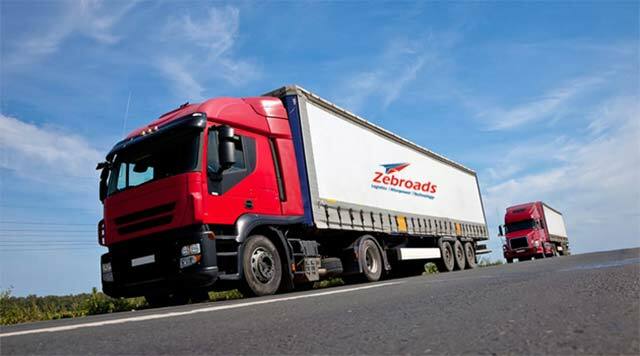 While many of them connect logistics services providers with customers for intra-city and inter-city transport and relocation services, Zebroads is in the businesses of offering end-to-end logistics and warehouse services. However, some ventures in this space were unable to keep the lights on. Zippon.in, an on-demand logistics aggregator for relocation services, had shut shop in February as it could not raise fresh funding after a proposed deal to sell out to a larger rival fell through at the eleventh hour. In December, e-commerce focused logistics services provider Delivree King closed operations as it failed to raise fresh funding. Another logistics startup Pickingo was acqui-hired by Shadowfax in November after it had stopped operations. In 2014, last mile delivery startup Chhotu.in, which was backed by Paytm’s Vijay Shekhar Sharma, shut shop.